Welcome to our first official Blog-Swap! Below, is a guest post by Kelly Meeker, Community Manager at OpenSesame.com, one of our reseller partners. Among other services, OpenSesame sells our eLearning courses directly into client learning management systems. Convergence has a wide selection of courses on safety and compliance topics, including everything from slips, trips and falls to using lasers safely. (Who could ask for anything more?) To make sure their content is easily understandable, Convergence has ensured each course is a short, digestible chunk that covers a specific topic. This means learners don’t waste time wading through hours of content to find the one nugget they need because each course is targeted and to the point. Customers can mix and match different Convergence courses to build a safety curriculum that meets their organization’s specific needs. Convergence uses excellent, realistic 3D animations that bring safety topics to life. With realistic demonstrations of workplace challenges, as well as the safe practices that promote a healthy workplace, Convergence makes it easy to understand the information and apply it in your own workplace. Finally, Convergence doesn’t beat around the bush, repeat themselves or hem and haw. Each course covers essential topics directly, with clear examples that move at the speed of life. 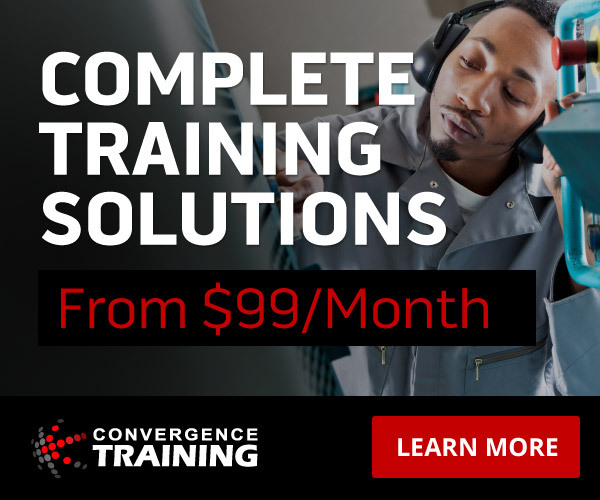 Convergence Training is a training solutions provider with many libraries of e-learning courses, several different learning management systems (LMSs), and more. Contact us for more details or to set up a demo. Kelly Meeker is the Community Manager at www.OpenSesame.com, a marketplace for buying and selling elearning courses. Connect with her at @OpenSesame. You guys do a great job! Thanks for sharing our post.